CCXXIV, 787 p., 1 ill., 17,2 x 25,0 cm. Fragment einer theosophischen Kosmogonie – Aus der Akasha-Chronik – Die Geheimwissenschaft im Umriss. Edited, introduced and annotated by Christian Clement. Preface by Wouter J. Hanegraaff. 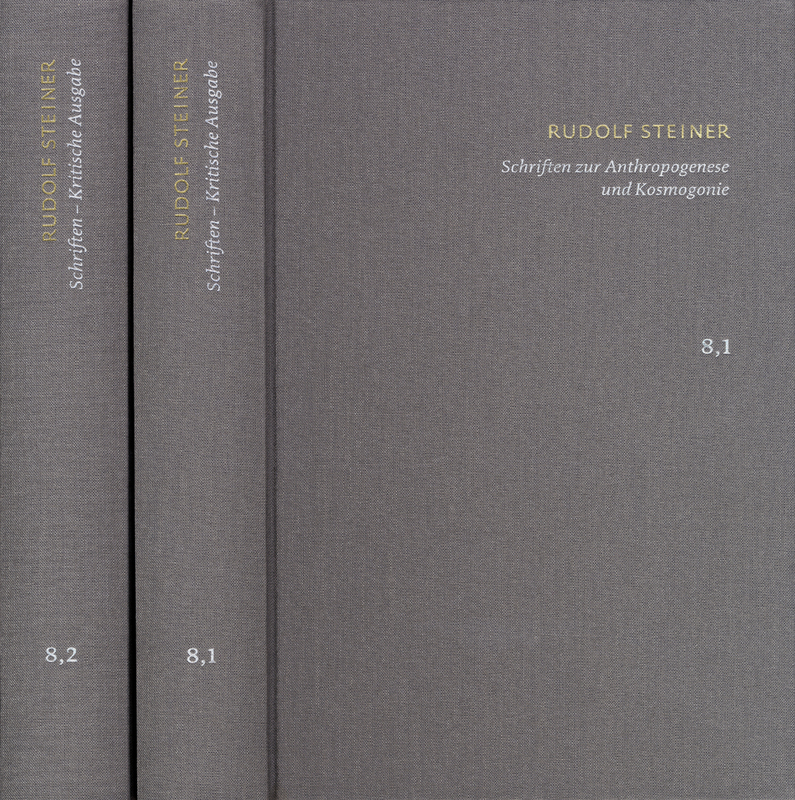 Rudolf Steiner’s ›Geheimwissenschaft im Umriss‹ of 1910 constitutes a summary and conclusion of his theosophical period of thought. Steiner’s esoteric anthropology, which had already been conceptualized in his ›Theosophie‹ of 1904, was reconceptualized and deepened here, and also embedded in a spiritual cosmogony and anthropogeny modelled after theosophical precursors such as Jacob Böhme and H. P. Blavatsky but also reminiscent of philosophical cosmogenies from Plato to Schelling. Furthermore, the volume contains two important precursors of Steiners evolutionary framework: a 1903 fragment on esoteric cosmogony and the series of essays ›Aus der Akasha-Chronik‹ of 1905 to 1908.